Having lost in the opening round during the past two postseasons, the Spurs are hoping to flip that script. 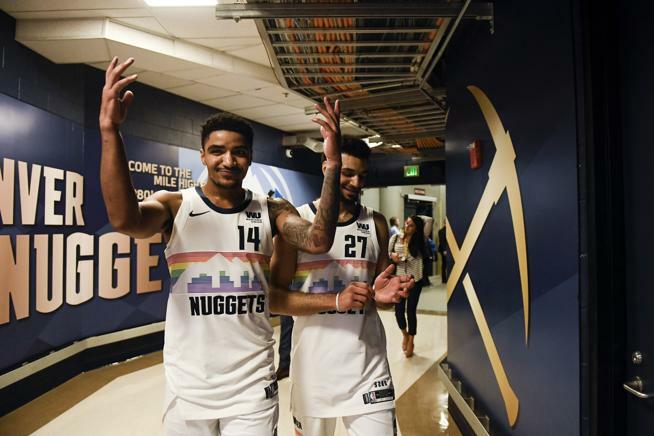 They face a team that serves as one of our biggest question marks in the Denver Nuggets. They match-up well at most positions, including reserve scorers and even the center spot, but they definitely reign supreme when we’re talking about experience. 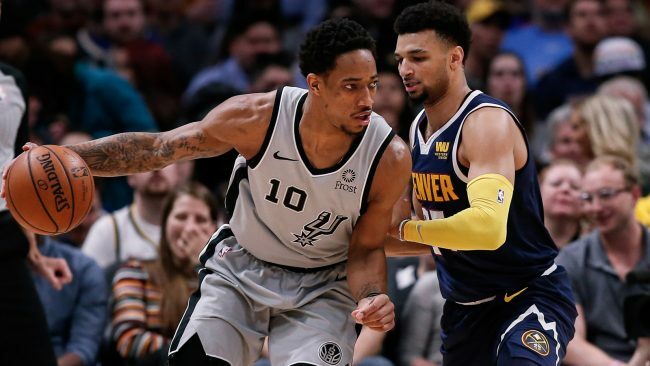 Can DeMar DeRozan and LaMarcus Aldridge help lead the Spurs into round two? The reason for Denver being such a big question mark is that they have been up and down all season. Last time they got to the playoffs as a #3 seed, their home-court advantage disappeared with one loss at home. They have to dominate the games on their home floor and not make themselves potentially HAVE to win in San Antonio. If Playoff-Jokic is anything like regular-season Jokic, they should be in good hands. Spurs: San Antonio is the only team who does not seem to enjoy firing up the three-ball. Four of their five starters tend to avoid it, while Bryn Forbes is allowed to fire them up whenever he wants. San Antonio attempts the fewest in the league, but do shoot the best percentage. LaMarcus Aldridge had a strong season, averaging 21 points and nine boards while shooting 52% from the floor. DeMar DeRozan, on the other hand, got some reps at point guard, and he played well. He averaged 21-6-6 while shooting 48% from the floor, and 83% from the FT line. Nuggets: Though he has basically no shot at winning the MVP award, Nikola Jokic sure played like one throughout the year. He hit quite a few game-winners while putting up NUMBERS. Jokic averaged 20-11-7, with 1.4 steals per game. He shot 51% from the floor and made 82% from this the charity stripe. Jamal Murray was second with his 18 points per game, with Gary Harris, Will Barton, Paul Millsap, Monte Morris, and Malik Beasley rounding out the guys scoring 10+. This is a very deep team, who thrives off of their #6 ranked defense. If their matchup is anything like the times they got together during the regular season, we could be in for a real barn-burner. 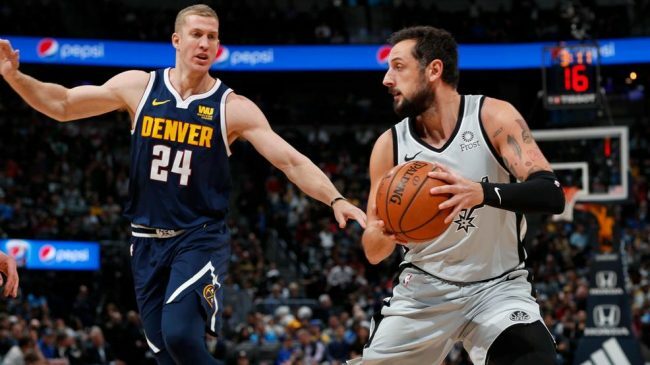 The Nuggets lost two of the first three games, all of which were decided by eight points or less, before picking up a 113-85 win a little over a week ago. Three tight ones and a blowout. Neither team has any new injury news to report. Only Dejounte Murray and Michael Porter Jr. are out. UPSET ALERT! Be sure you bet SAS +5.5! The Spurs are going to come in here like the Warriors did in 2013, and steal game one from Denver. San Antonio’s late-game execution is going to be what makes all the difference.